Sign up for a VPN service, like VyprVPN. VyprVPN lets you choose between a variety of VPN protocols and doesn't use third-party servers. Download VyprVPN and launch the application on your preferred device(s). Choose a server location. VyprVPN lets you choose from over 70 server locations around the world. Click Connect and connect to your VPN. Reduce latency during game play, and speed up your connection when playing Call of Duty: Infinite Warfare. VPNs are becoming increasingly popular among gamers. 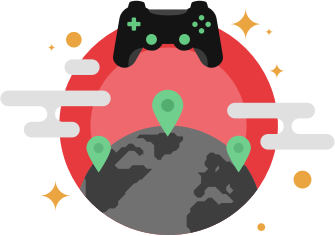 Many gamers use VPNs to access content and servers globally, as using a VPN allows a gamer to change their IP address and access content from any location without geographical restrictions. A VPN also protects gamers from vengeful players and DDOS attacks, by increasing their overall online privacy and keeping their personal information secure. By connecting to a VPN, a gamer can widen their competition and download DLC content from around the world. Gamers can connect and game with friends all over the world by using a VPN! With the growth in the online gaming industry, many gamers are looking for new ways to gain a competitive advantage and increase their connection speeds. With a VPN for gaming like VyprVPN, gamers can shorten connection routes between them and the gaming server to minimize ping time and reduce lag. With reduced lag for first person shooting games, like Call of Duty: Infinite Warfare, you can game faster and play without delays. 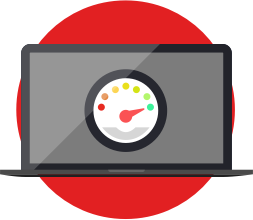 A VPN also allows you to defeat throttling performed by your ISP and bypass congested networks, so you achieve top speeds at all times and stay a step ahead of the competition.